Defense intelligence Agency United States believes that China and Russia to develop their technological capabilities to threaten American satellites. According to the report «Problems of security in space», which was published on Monday (11 Feb) and considers space capabilities of Russia, China, Iran and North Korea — US satellites could be destroyed by a foreign lasers. «China and Russia, in particular, develop various means to use the estimated US dependence on space systems and to challenge the US position in space,» said the Pentagon. 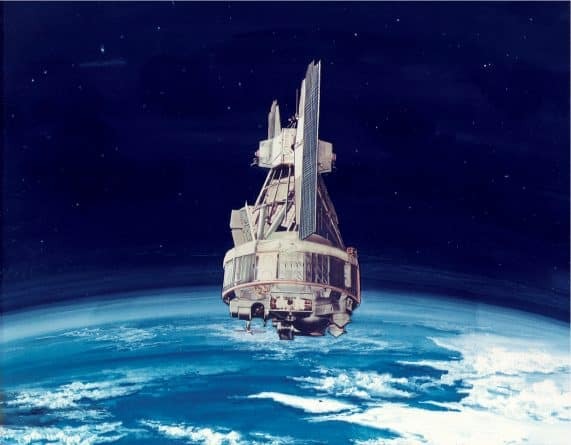 American satellites play an important role in everything from navigation, direction, weapons and intelligence gathering, including monitoring nuclear weapons programme in North Korea and monitoring of the military activities of Russia and China. According to the Pentagon, it is for these reasons the US is so necessary cosmic force, the creation of which was already declared trump. Also, according to the Agency, Russia is allegedly developing a «land-based mobile missile system that can destroy space targets» in low earth orbit in addition to ballistic missiles. «This weapons system is likely to become operational in the next few years», — stated in the message. The report says that Russia and China are also developing satellites for «inspection and maintenance» that can be used to conduct attacks.